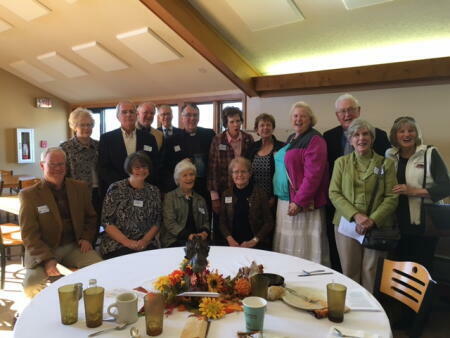 For the tenth year, the Watauga County Community Foundation successfully hosted the annual Philanthropy Day Luncheon. Organized by local affiliate and statewide board member Brian Crutchfield, the luncheon is a special time to recognize the 28 endowment funds that make up the affiliate, celebrate the spirit of philanthropy in the Watauga County community, award the Spirit of Philanthropy Award and hear from NCCF senior staff on the impact philanthropy is having across the state. The Watauga County Community Foundation was established in 1993 with a single endowment that is now called the Legacy Fund. A $10,000 gift from Sebe Jones, now deceased, who was the owner of the Sheraton Inn, allowed the fund to begin. Since then, the Legacy Fund has grown to more than $80,000. The Legacy Fund started making grants in Watauga County in 1994 with a single grant of $500 to the Watauga County Library to kick off their capital campaign. The Fund has now made more than 120 grants totaling more than $135,000. WCCF Board Member Bob Bondi and Rev. 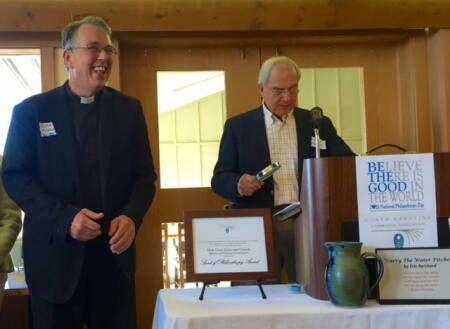 R. Allan McCaslin, Rector of Holy Cross Episcopal Church, the Spirit of Philanthropy Award winner, perfectly show the spirit of the luncheon.